If you didn't figure it out from the name than you should know that 3D is very important for the LG Optimus 3D. That's why the company developed the 3D space app, which brings the shortcuts to all the stereoscopic apps to a common hub and makes it all easier to access. What's more the 3D space itself has a cool 3D interface with nice animations for each of the categories. Unfortunately there's no easy way to demonstrate 3D action going on with our camera, but here's what we came up with. Here's some animated GIF magic to give you a basic idea of the 3D effect. Mind you, there's no need to shake your device furiously to get the 3D thing going. We are just giving you quickly alternating images that represent what each of your eyes is seeing when looking at the Optimus 3D screen. By changing them fast enough an impression of volume is created. And now here's the content of the 3D package that you are getting with the Optimus 3D. Not so much an app by itself, but more of a manual the 3D guide will teach you how to create, view and share 3D content. You get a brief tutorial on each of the subjects, but it should be enough to teach you everything there is to know about 3D on the handset. Just as it sounds the YouTube 3D app is exactly the same thing as the regular YouTube Android app, except that it directly hooks up to YouTube’s 3D channel that’s full of good and not so good 3D content. 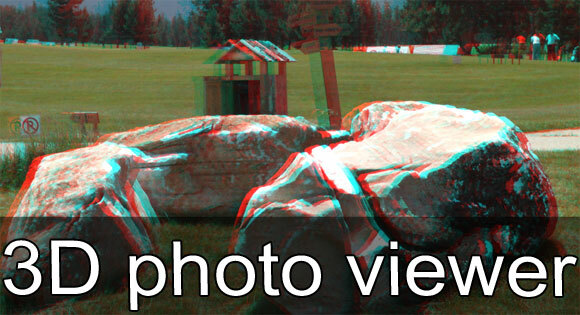 Offering a couple of cool interface modes, the 3D gallery lets you browse your stereoscopic images and videos. It’s not particularly functional, but it's certainly good looking and smoothly running. In fact, truth be told, it’s there for the show-off. Besides that, it’s a pain to navigate, especially since there’s no way of sorting the content by date or type or anything. An interesting option when looking at a single image, is to choose the depth of the 3D effect. We didn't see the need to move it from its default maximum position but you can reduce it if you feel like it. At number four comes the 3D camera, which allows you to actually capture 3D content instead of just consuming it. You can either do 3 megapixel stereoscopic snaps or 720p 3D videos. The image feeds from both cameras get cropped partly when shooting in 3D mode, and that’s the reason why the resulting pics are only 3MP as opposed to 5MP. The camera interface is standard LG stuff, but you do get the viewfinder in 3D too, which is pretty cool. On the other hand it makes shooting a bit trickier as you need to hold the camera at the sweet spot distance to see what you are shooting properly. Otherwise, all you get is a blurry mess and a headache. And here come some samples from the LG Optimus 3D camera. Just have in mind that they were all created with our pre-release unit and the quality of the images and videos created with the retail version of the device will probably be better. You can check them out right from your Flash-enabled browser in our 3D Photo viewer by clicking the image below. You should use the Wiggle view mode (available as a switch below the images) to get a basic idea of the 3D effect without the need for glasses or a 3D screen. If you happen to have any of the supported anaglyph glasses (red/cyan or blue/yellow) at hand you might want to pick the C_Ana (colorful anaglyph), H_Ana (Half-color anaglyph) or BY_Ana (Blue-yellow anaglyph) view modes. Alternatively, you may wish to download the jps files on your PC and open them with any JPS viewer that you want. Those are the untouched 3MP camera samples straight from the LG Optimus 3D. And here goes a 720p 3D sample. Again, if you have a pair of red/cyan glasses you would be able to watch it in real 3D (though with somewhat poor colors). On a 3D monitor, the clips really come to life with full, proper colors. The 3D games and apps complete the tally. In fact our unit only had four 3D games and no other apps optimized to take advantage of its screen, but we are sure more will come in in the future. The titles in question are Lets Golf 2, Nova, Asphalt 6 and Guiliver's Travels so there should be something for everyone. Much like the gallery, each of the games has a toggle to set the depth of the 3D effect and you can even get rid of it all together if you feel like it. It's a pretty complete package if you think about it, though some more augmented reality apps (like the upcoming reality browser) and games would make an already sweet deal even better.